What is a 'Condition Report'? This is a report that is compiled at the commencement of a tenancy prior to your tenant moving into the property. This report outlines the condition of the property at the commencement of the tenancy and is used when the tenant vacates to ensure that the property is left in the same condition. An 'outgoing' inspection is the last inspection carried out as soon as possible after the end of a tenancy, when the tenants have returned their keys. The property condition report is used at this inspection and each item is checked off to make certain that the property is in the same condition as when the tenant took possession. It is at this inspection that any items that need to be rectified by the tenant are identified. 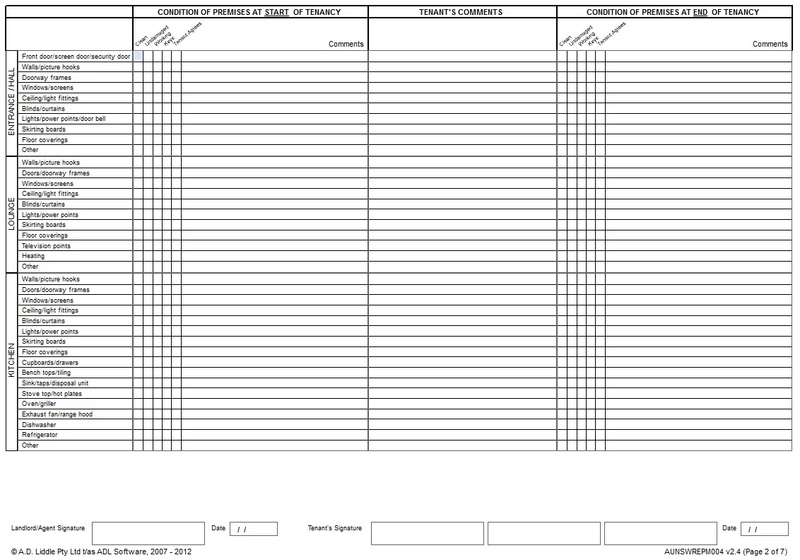 We use a fantastic program on our Ipad called ADL Forms to create our condition reports. Our reports are detailed and informative to ensure we have a comprehensive report of the property. We also make sure we take heaps of photos so we can use as evidence should there be any issues at the end of the tenancy. The tenant will receive a copy of the condition report and photo's as well for their records.